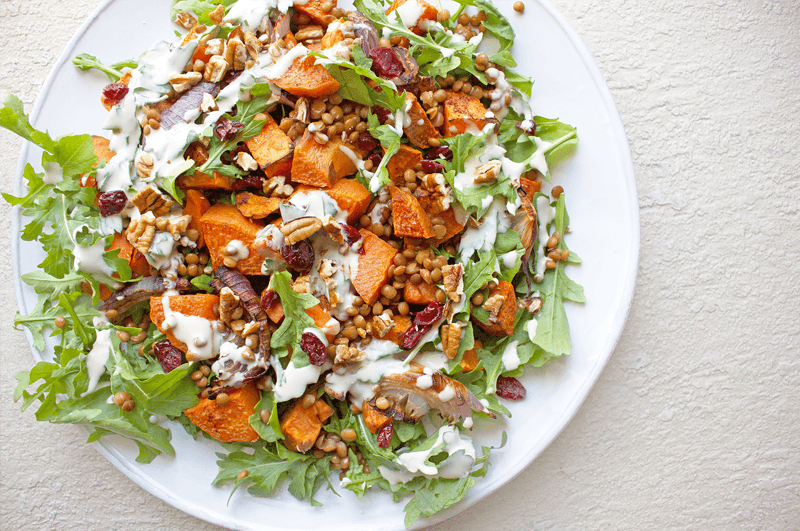 This sweet potato salad just sings with flavour, colour and texture! It makes the most divine and satiating lunch or dinner – veggie friendly too! Make for your next family or friend gathering – I promise it’ll be a hit! Add chopped sweet potato to a lined baking tray and drizzle with olive oil. Season generously with salt and pepper, sprinkle with cinnamon, then add tray to oven for 30-35 minutes, or until sweet potato is golden and cooked through.